Ohio is home to two of the biggest and best amusement parks anywhere, Cedar Point and Kings Island, and boasts some of the best roller coasters on the planet. Whether you live in or near the state or plan a visit from afar, Ohio will satisfy your thrill fix. But there used to be even more amusement parks in the state. There used to be a memorable Six Flags, SeaWorld, and Geauga Lake, which were all connected to one another, but, as of 2016, any remnant of them is gone. There were many other lake-based parks in the state, including Brady Lake Park in Ravenna, Buckeye Lake, which remained open until the 1970s, LeSourdsville Lake Amusement Park in Youngstown, which lasted for 80 years until it closed its gates in 2002 and had coasters such as the Screechin' Eagle, and Chippewa Lake Park, which operated for 100 years from 1878 to 1978 and offered coasters such as the Big Dipper and the Little Dipper. Another popular Ohio park that has since closed is Euclid Beach in Cleveland. 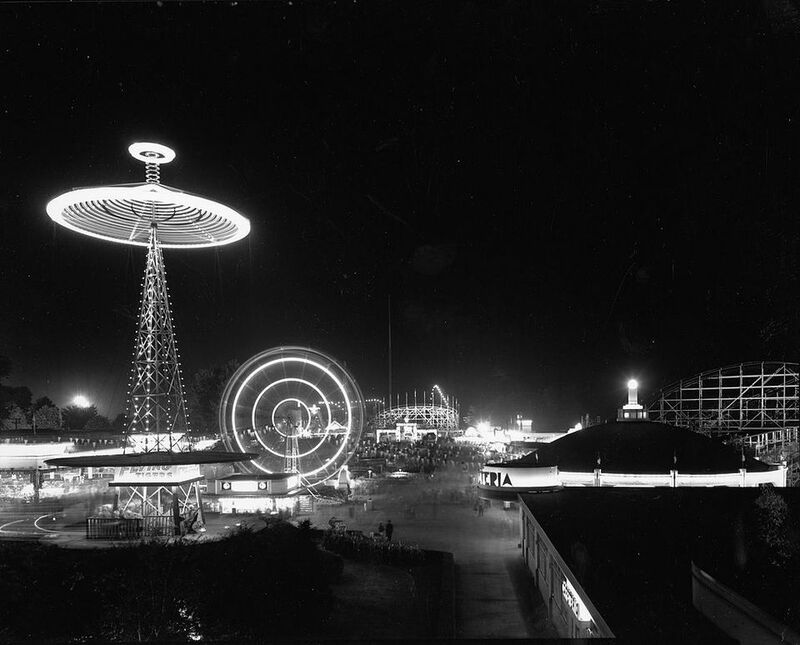 It was open from 1895 to 1969 and featured coasters such as Thriller, Flying Turns, and Derby Racer. Idora Park in Youngstown delighted visitors from 1899 until 1984 and offered coasters such as Wildcat and Jack Rabbit. The following Ohio amusement parks are currently open and are listed in alphabetical order. Cedar Point, the self-proclaimed "America's Roller Coast," is one of the world's great amusement parks, with an incredible collection of roller coasters. With on-property hotels and a beach, it is also something of a destination resort. Its water parks (which are not included with admission) are Castaway Bay Indoor Water Park Resort and Soak City, an outdoor water park. No, not that Coney Island. This classic park dates back to 1887, includes the Python roller coaster, and offers the huge Sunlite Pool for swimming. The park is small and is more of a diversion for visitors to the zoo than a destination in its own right. Note: The amusement park and the adjacent Zoombezi Bay water park used to be known as Wyandot Lake. One of the country's premier amusement parks, Kings Island has an incredible lineup of coasters, including the legendary, The Beast and Banshee. The outdoor water park, Soak City, is included with admission. Adjacent to the park is the indoor water park resort, Great Wolf Lodge at Kings Island. This is a small, classic amusement park built in 1952. Rides include a kiddie roller coaster. It's geared to families with children that are 2 to 5 years old. This odd little park is private and used for functions and picnics. It is, however, open a few days each year to the public. Its wooden coasters include the Teddy Bear and Tornado. This is a small park for young children that offers vintage kiddie rides, including a roller coaster and a train. It also offers swimming pools, mini-golf, and batting cages.